#1 Try out the cajon! Before starting into the new Cajon world there is a lot of questions. A lot of beginners wonder wheather the cajon is the right instrument for them. It makes sense to try out a Cajon of friends or aqquaintances and beat the drum. You will see even without skills you can drum easy beats. If you dont have that opportunity, visit a Sela retailer. To find a retailer near by visit this map. Especially suitable for beginners is the participation on a cajon workshop. 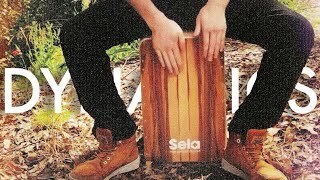 Our Sela artists reguarly offer courses, in which beginners can get to know the Cajon. Most importantly you will learn elementary techniques and receive valuable tipps from a professional percussion player. Particually playing in a group is super fun and will give you a good understanding of the cajon. 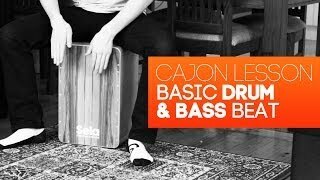 #3 Find the right Cajon! The most asked question as a beginner is basically: Which cajon should I choose? The selection of different Cajons is huge since Sela Cajons are suitable for both beginners and professionals. For the beginning we recommend 2 different models: The Sela Snare Kit, the Sela CaSela and the Sela Varios Models. If you are the DIY type of person, you will enjoy the Quick Assembly Kit. Would you like to vary your playing surface in the future, you will like the CaSela playing surfaces. If you want your Cajon to be an eye catcher, you should check out the Varios series with their popping colours! When you chose a Cajon, you can immediately start drumming. If you would like to improve your skills or learn new techniques, it can be helpful to watch YouTube tutorials. 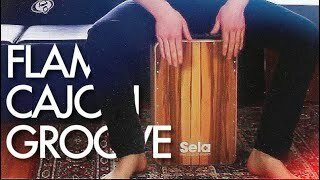 Especially the Videos from Sela Cajon Artist Ross McCallum are really helpful. 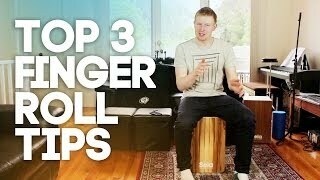 Not only elementary techniques of playing the Cajon are shown, also tipps to improve your playing skills. Making music is the most fun when you are with friends! That's why you and your friends should meet reguarly for a jam session. Choose a few tracks and practise them together. It helps improving your skills and you can help with your eachother and give tips.